Bit by bit I am consuming the hefty 2013 tome – ‘The Origins of the First World War: Diplomatic and military documents. Edited and translated by Annika Mombauer. This is while away from home on a ‘reading week’ – ehem, impromptu exploitation of amazing snow conditions in the French Alps. From 9h30 to 17h00 I ski – guided by the Ski Club of Great Britian. Shattered and exhilerated and needing nothing more to eat after food ‘on the piste’ I start to read. Old School, appropriate for a hardback book, I mark passages with a Postit; when these run out – I came with 16 or so in the book, I stop, take out a pack of Rolledex cards and write these up. The book comprises an introduction, then a set of documents, in chronological order, leading to the various declarations of war. Reading the infamous notes that Kaiser Wilhelm II left on the despatches he received is revealing, as are the multitude of exchanges between the Foreign Ministers of the key players: Austria-Hungary, Serbia, Russia, Great Britain and France and their respective ambassadors, and national leaders: Prime Ministers, Presidents, Kaisers and Tzars. My interest is our Foreign Minister Sir Edward Grey, the cabinet and his plenapetentiaries, and his direct dealings with key ambassadors. These documents cut through and explain or reveal the obfuscation and spin that started in 1914 and continued for many decades afterwards. A ‘country’ cannot be blamed – a geographical space is inanimate and its people too disenfranchised and indifferent; we can however blame specific people for aggitating for war and then failing to prevent its outbreak – where I adopt this approach I mean in each case one, two or a handful of people in that country who held, managed or influenced the decision making and therefore had a lot or a modicum of power. Britain was a cabinet with Grey the key player; France was an array of people in the Foreign Ministry and the President; Germany had to be the Kaiser and military rather than civil leaders, Austria-Hungary not the Emperor, but ministers and military, Russia the Foreign Ministes, ambassadors and military with the Tszar largely acting to please while Serbia, most democratic of all (?) was the President Pasic who at this time was distracted by election campaigning. Christopher Clark is wrong to suggest that the leaders of the six major players were ‘sleepwalkers’ : Great Britain was dragged, Russia mobilized, Serbia froze and crossed its finger, Austria-Hungary was up for it and being egged on by Germany. 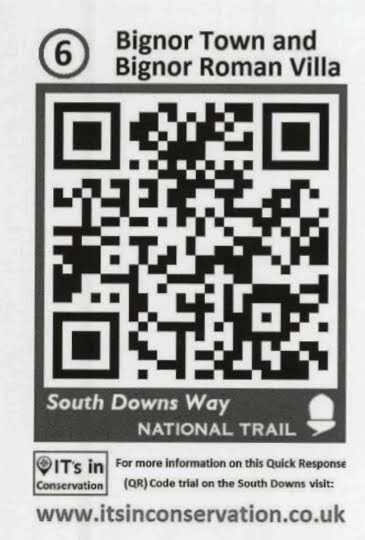 This is at the micro-level: telegrams and conversations. 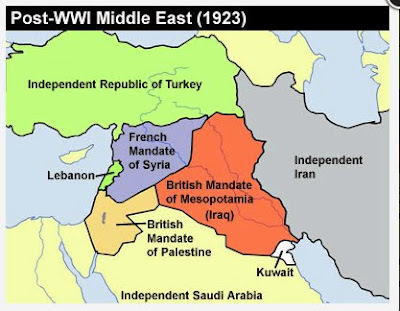 At the macro-level Imperialism in its differing manifestations and geographical locations is collapsing (Ottoman Empire in the Balkans and beyond into the Middle East), the British Empire as an established, civil-service and military managed Goliath with a constitutional monarch and influential cabinet, while France and the USA (not yet featuring in the world affairs of 1914) were still in the business of acquistion – Germany also, but with billigerant military leaders and a kaiser who held power who was determined that he should be front of stage in world affairs whether as a great peacemaker or a great warlord. 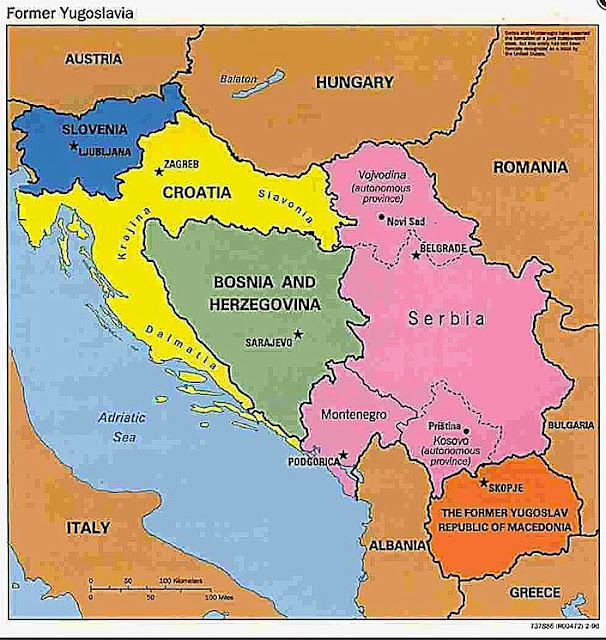 At the macro-level the equally powerful force of nacent nationhood inside or at the edges of these empires is causing multiple fractures under techtonic plates that are already sliding: emerging from the first and second Balkan Wars, Serbia is the catalyst by 1914 that brings in first one, then another ‘Great Power’ – Russia ostensibly to defend slav brothers, and Germany to back an ally Austria-Hungary that didn’t know which way to move for certain until given a few shoves by a couple of people in Germany. 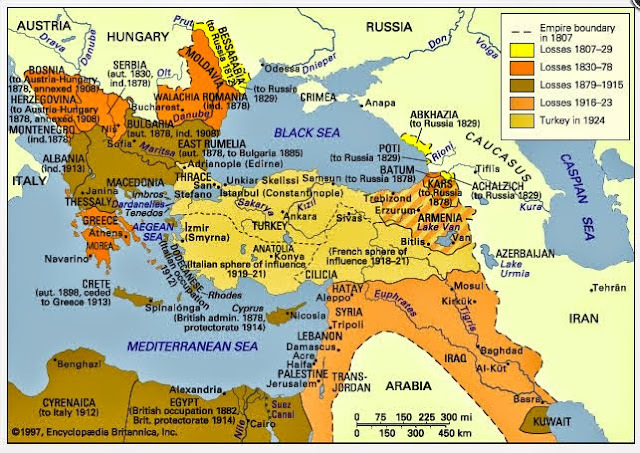 Why did war break-out in 1914? The hawks in various camps tore at diplomacy with gusto while the doves cooed and at no time could or would the right hawks and doves meet. In this respect one of the Kaiser’s marginalia was tellingly accurate when he cried off any kind of conference – committees play into the hands of the most timid. The conferences proposed by Sir Edward Grey may well have prevented war, or delayed and localised the conflict. But for how long? And should such speculation be used in any historical arguement anyway? 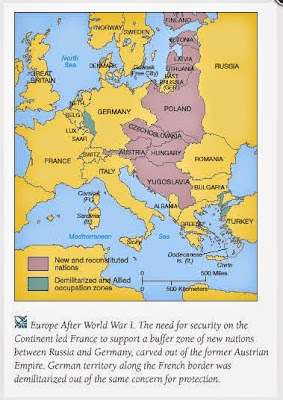 We can narrow it down: had Wilhelm II been of firmer and more consitent mind rather than tipping from war to peace his words would have left Austria-Hungary to deal with events on its troubled borders. It wasn’t for Grey to either keep his hand close to his chest visave acting with France and Russia or declaring it – an absolute commitment to act would have goaded a paranoid and largelly prepared Germany sooner while neutrality far from pasifying Germany would have told them that the field was theirs. Grey was caught between a rock and a hard place and in the privileged position of sitting at the top of the decision making tree in an established, stable and still sucessfully expanding empire. I fall asleep at 18h30 and wake two or three hours later my dreamworld infested by these characters, these players in a Shakespearesn tragedy that instead of seeing the blood on the stage, decimates and maims a sizeable part of the audience that like the Globe on a summer’s evening is made up of people not from six countries, but from 36. The bloodbath is in the yard not in the gallery. Would you prefer to read widely or pick the brains of experts? 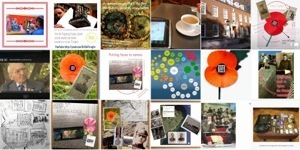 By creating pertinent content and generating Quick Response Codes that are put on British Legion poppies people can use smartphones or tablets to get location based information on the people and events of the First World War, whilst being invited to contribute their own thoughts, photographs or pictures of artefacts from the era. Fig.1. Screengrab from ‘Gallipoli: The First Day’ – an extraordinary multimedia, interactive 3D consideration of the events of this tragic conflict. This ABC Australia, award winning 3d virtual tour of the first day of Gallipoli deserves attention. This is the ‘Avatar’ of production values. Sympathetic. Balanced (I hope, it includes the Turkish perspective) and compellingly engaging. It sets the benchmark for delivering this kind of content. It says something too of the blood-letting, nation-creating, soul-searching in relation to loss in this way and on this kind of scale that many European countries will need to revisit over the next few years. A teacher will never have the budget to create this kind of content, so how do they willingly use it in their teaching? Does it motivate someone new to this story to find out more? How does it work as education or entertainment? Where does the funding come from? As mash-ups go this is very professional. 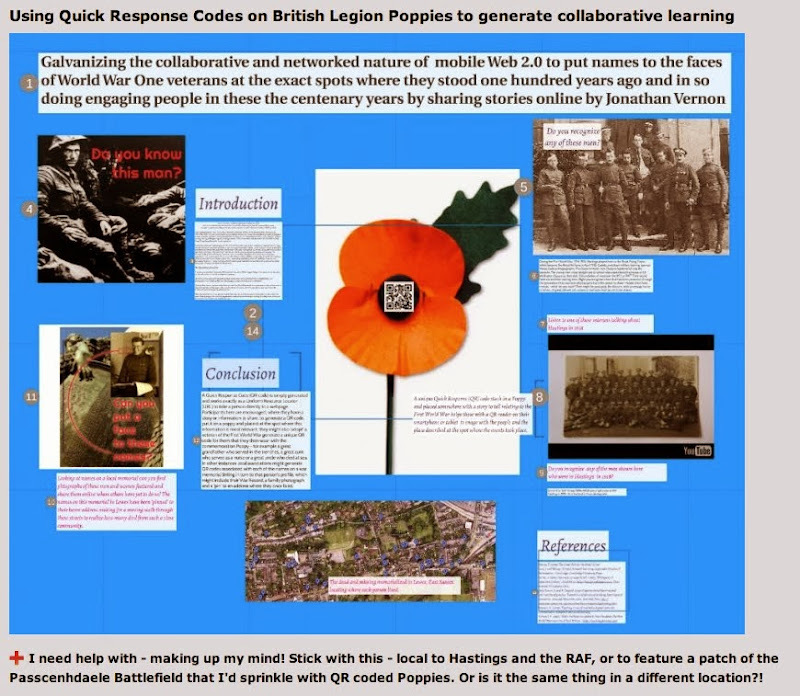 The learning design and its gamified values are second to none. (First posted in OpenStudio in my R&R ‘concept board’ as part of the MA ODE module H818: The Networked Practitioner).